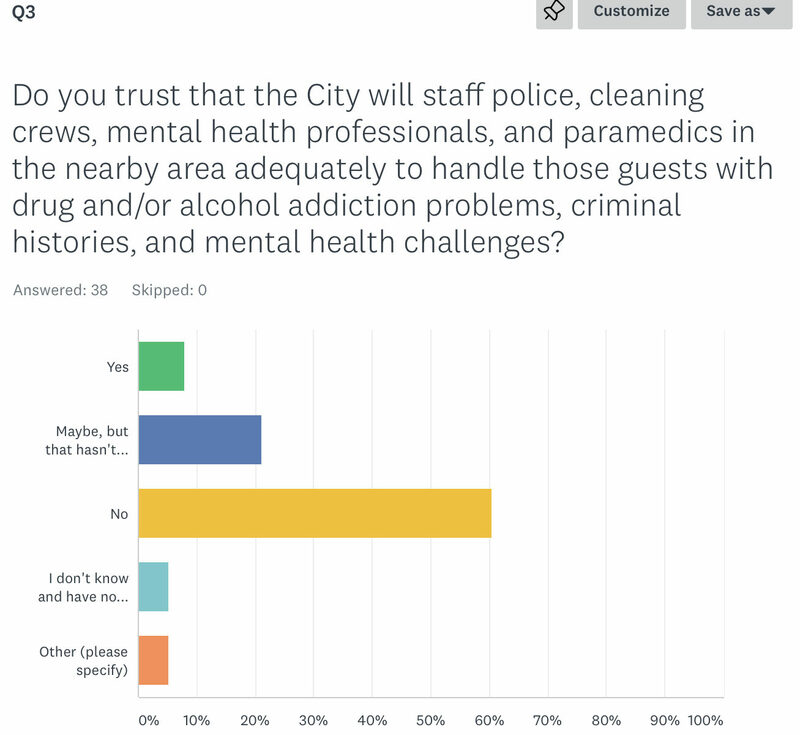 The overall theme is that most of the survey respondents are empathetic, but there is little faith in the City to increase police, cleaning, mental health service, ambulatory service, and other services to help mitigate the impacts of concentrating 175-225 guests at Seawall Lot 330. This survey was posted less than 24 hours ago and gives a decent sampling for Mayor London Breed and District 6 Supervisor Matt Haney to get a sense of what the City needs to provide to help alleviate initial concerns expressed by Rincon Hill residents. I would highly recommend the City conduct its own surveys offering open ended text box questions to get a good sampling of information from residents. Evening meetings are appreciated, but hardly ever attended by families, less mobile seniors, or persons who work evenings – and their input is important too. Click here for the initial responses to my neighbor to neighbor survey about the proposed shelter. A Mayoral Candidate from South of Market!